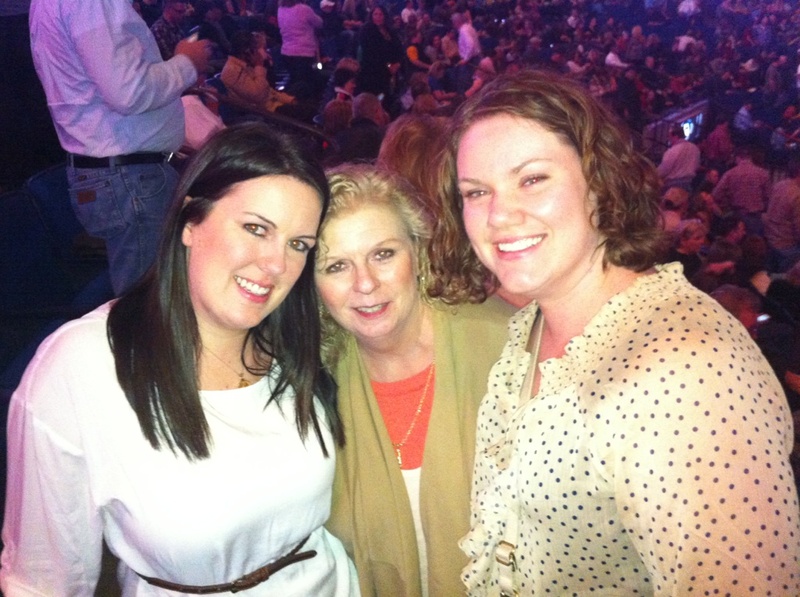 Mr. Mayer and I enjoyed a night out with Aunt Bets and Monica last night. 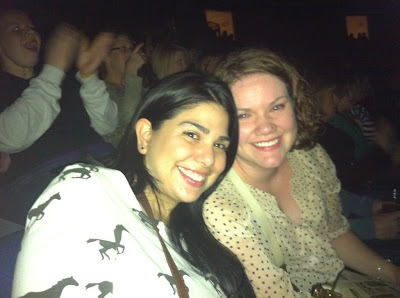 We went and saw Lady Antebellum in concert last night. Darius Rucker and Thompson Square opened for them. We met up with Nana Karen at the concert. It was a very nice deviation from our routine sushi or Brady Tavern dinner and a movie. I love dinner and a movie, but sometimes it's fun to do something else. Friday was a stinky day for me in general. One of those days where you make everything harder than it should be and nothing seems to go right. I was really excited to go out. We went to dinner at Mi Cocina last night before the concert. Super Yum! It's a Tex-Mex restaurant on Cherry Street here in town. I had a Chimichanga. I don't usually order that when I eat out but it was delicious. The drinks were yummy too. After dinner we headed to the BOK Center. When we got there Thompson Square had already performed. I was mildly bummed about this because I like them. 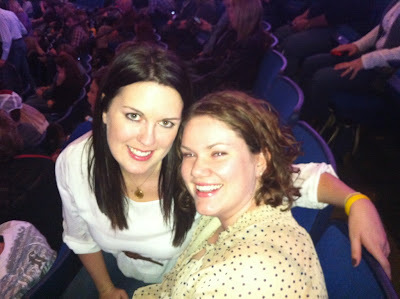 We did make it in time to see Darius Rucker. I was just as excited about seeing him as I was to see Lady A. He did a great show. Between Darius and Lady A we managed to snap a few pictures when we met up with Nana Karen. We danced and sang and had a really great time.